Deuterocanonical books is a term used since the sixteenth century in the Catholic Church and Eastern Christianity to describe certain books and passages of the Christian Old Testament that are not part of the Hebrew Bible. The term is used in contrast to the protocanonical books, which are contained in the Hebrew Bible. This distinction had previously contributed to debate in the early Church about whether they should be read in the churches and thus be classified as canonical texts. The Deuterocanonical books are considered canonical by Catholics, Eastern Orthodox and Oriental Orthodox, but are considered non-canonical by Protestants. The word deuterocanonical comes from the Greek meaning 'belonging to the second canon' and indicates doubt about the inclusion of these books in the canon by some of the early churches. The original usage of the term distinguished these scriptures both from those considered non-canonical and from those considered protocanonical. However, some editions of the Bible include text from both deuterocanonical and non-canonical scriptures in a single section designated "Apocrypha". This arrangement can lead to conflation between the otherwise distinct terms "deuterocanonical" and "apocryphal". Deuterocanonical is a term first coined in 1566 by the theologian Sixtus of Siena, who had converted to Catholicism from Judaism, to describe scriptural texts of the Old Testament considered canonical by the Catholic Church, but which are not present in the Hebrew Bible, and which had been omitted by some early canon lists, especially in the East. Their acceptance among early Christians was widespread, though not universal, and the Bible of the early Church always included, with varying degrees of recognition, the books now called deuterocanonical. For the most part their canonicity seems not to have been doubted in the Church until it was challenged by the Jews after A.D. 100, see also Council of Jamnia. Regional councils in the West published official canons that included these books as early as the fourth and fifth centuries. Fragments of three deuterocanical books have been found among the Dead Sea scrolls found at Qumran. Sirach, whose Hebrew text was already known from the Cairo Geniza, has been found in two scrolls (2QSir or 2Q18, 11QPs_a or 11Q5) in Hebrew. 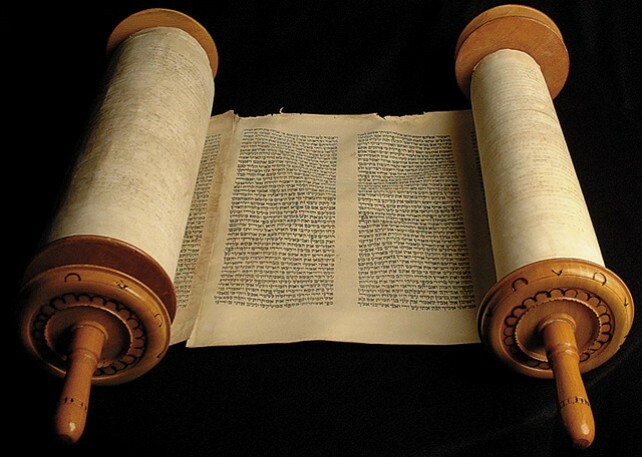 Another Hebrew scroll of Sirach has been found in Masada (MasSir). The Book of Tobit has been found in Qumran in four scrolls written in Aramaic and in one written in Hebrew. The Letter of Jeremiah (or Baruch chapter 6) has been found in cave 7 (7Q5) in Greek. The large majority of Old Testament references in the New Testament are taken from the Greek Septuagint—which includes the deuterocanonical books, as well as apocrypha—both of which are called collectively anagignoskomena (things that are read). Several appear to have been written originally in Hebrew, but the original text has long been lost. Archaeological finds, however, discovered some original texts among the Dead Sea scrolls. The Septuagint was widely accepted and used by Greek-speaking Jews in the first century, even in the region of Roman Judea, and therefore naturally became the text most widely used by early Christians, who were predominantly Greek speaking. In the New Testament, Hebrews 11:35 refers to an event that was only explicitly recorded in one of the deuterocanonical books (2 Maccabees 7). Other New Testament authors also quote period literature which was familiar to the audience but that was not included in the Old Testament or the deuterocanonical books. For instance, Paul cites Greek writers and philosophers, and the author of Hebrews references oral tradition which spoke of an Old Testament prophet who was sawn in half in Hebrews 11:37, two verses after the 2nd Maccabees reference. The Jewish historian Josephus speaks of the books as being 22 in number, a Jewish tradition reported also by the Christian bishop Athanasius. However, included in Athanasius's list of 22 Old Testament books are Baruch and the Letter of Jeremiah. At the same time, he mentioned that certain other books, including five deuterocanonical books but also the Didache and the Shepherd of Hermas, while not being part of the canon, "were appointed by the Fathers to be read". He excluded what he called "apocryphal writings" entirely. In the Catholic Church, the formal recognition of the Canon of the Bible, which included also the deuterocanonical books, occurred in the Council of Florence and was later confirmed by the Council of Trent. What sin have I committed if I followed the judgment of the churches? But he who brings charges against me for relating the objections that the Hebrews are wont to raise against the Story of Susanna, the Song of the Three Children, and the story of Bel and the Dragon, which are not found in the Hebrew volume, proves that he is just a foolish sycophant. For I was not relating my own personal views, but rather the remarks that they [the Jews] are wont to make against us. (Against Rufinus, 11:33 [AD 402]). Thus Jerome acknowledged the principle by which the canon was settled—the judgment of the Church, rather than his own judgment or the judgment of Jews. The Vulgate is also important as the touchstone of the canon concerning which parts of books are canonical. When the Council of Trent listed the books included in the canon, it qualified the books as being "entire with all their parts, as they have been used to be read in the Catholic Church, and as they are contained in the old Latin vulgate edition". This decree was clarified somewhat by Pope Pius XI on June 2, 1927, who allowed that the Comma Johanneum was open to dispute, and it was further explicated by Pope Pius XII's Divino Afflante Spiritu. Outside of the Catholic Church, the term deuterocanonical is sometimes used, by way of analogy, to describe books that Eastern Orthodoxy, and Oriental Orthodoxy included in the Old Testament that are not part of the Jewish Tanakh, nor the Protestant Old Testament. Among Orthodox, the term is understood to mean that they were compiled separately from the primary canon, as explained in 2 Esdras, where Esdras is instructed to keep certain books separate and hidden. In the Amharic Bible used by the Ethiopian Orthodox Church (an Oriental Orthodox Church), those books of the Old Testament that are still counted as canonical, but not by all other Churches, are often set in a separate section titled "Deeyutrokanoneekal" (ዲዩትሮካኖኒካል), which is the same word. The Ethiopian Orthodox Deuterocanon, in addition to the standard set listed above, along with the books of Esdras and Prayer of Minasse, also includes some books that are still held canonical by only the Ethiopian Church, including Enoch or Henok (I Enoch), Kufale (Jubilees) and 1, 2 and 3 Meqabyan (which are sometimes wrongly confused with the "Books of Maccabees"). The Eastern Orthodox Churches have traditionally included all the books of the Septuagint in their Old Testaments. The Greeks use the word Anagignoskomena (Ἀναγιγνωσκόμενα "readable, worthy to be read") to describe the books of the Greek Septuagint that are not present in the Hebrew Tanakh. These books include the seven Catholic deuterocanonical books listed above, plus 3 Maccabees and 1 Esdras (also included in the Clementine Vulgate), while Baruch is divided from the Epistle of Jeremiah, making a total of 49 Old Testament books in contrast with the Protestant 39-book canon. Like the Catholic deuterocanonical books, these texts are integrated with the rest of the Old Testament, not printed in a separate section. Other texts printed in Orthodox Bibles are considered of some value (like the additional Psalm 151, and the Prayer of Manasses) or are included as an appendix (like the Greek 4 Maccabees, of which some parts are considered to reflect pagan tendencies, and the Slavonic 2 Esdras). Most Protestant Bible versions exclude these books. It is commonly said that Judaism officially excluded the deuterocanonicals and the additional Greek texts listed here from their Scripture in the Council of Jamnia (c.70-90 AD), but this claim is also disputed. These books make up the Apocrypha section of the Clementine Vulgate: 3 Esdras (1 Esdras); 4 Esdras (2 Esdras); and The Prayer of Manasseh, where they are specifically described as "outside of the series of the canon". The 1609 Douai Bible includes them in an appendix, but they have been dropped from recent Catholic translations into English. They are found, along with the deuterocanonical books, in the Apocrypha section of Protestant bibles. Using the word apocrypha (Greek: hidden away) to describe texts, although not necessarily pejorative, implies to some people that the writings in question should not be included in the canon of the Bible. This classification commingles them with certain non-canonical gospels and New Testament Apocrypha. The Style Manual for the Society of Biblical Literature recommends the use of the term deuterocanonical literature instead of Apocrypha in academic writing.